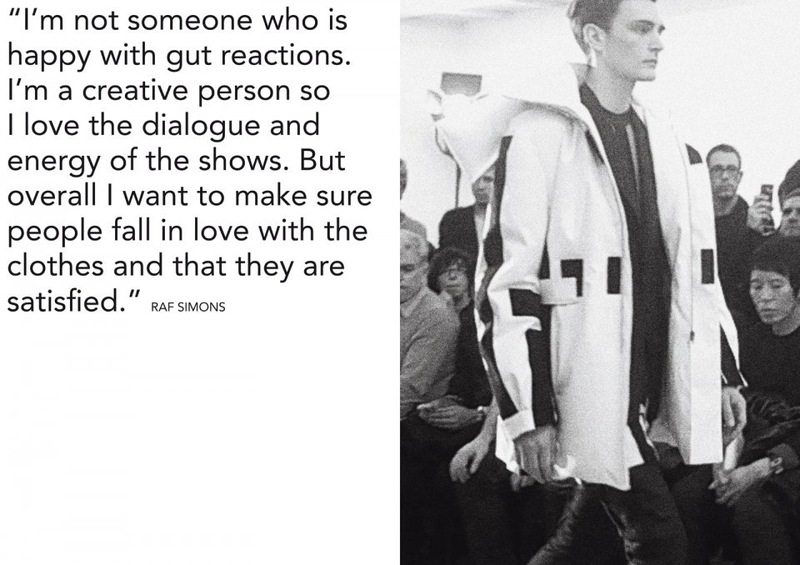 One of the best designers of our time, Raf Simons, now captured in a beautiful new art book from Taschen. It will give you an insight in his impeccably tailored menswear line, how he reinvented Jil Sander, and created a new look since he took charge of Dior in 2012. The book includes 120 pages of photographs as well as essays, interviews and quotes from the designer himself. A must-have for all fashion lovers out there! This entry was posted in Fashion, Shopping and tagged art book, coffee table book, Dior, Jil Sander, Raf Simons, Taschen by sofischoice. Bookmark the permalink.